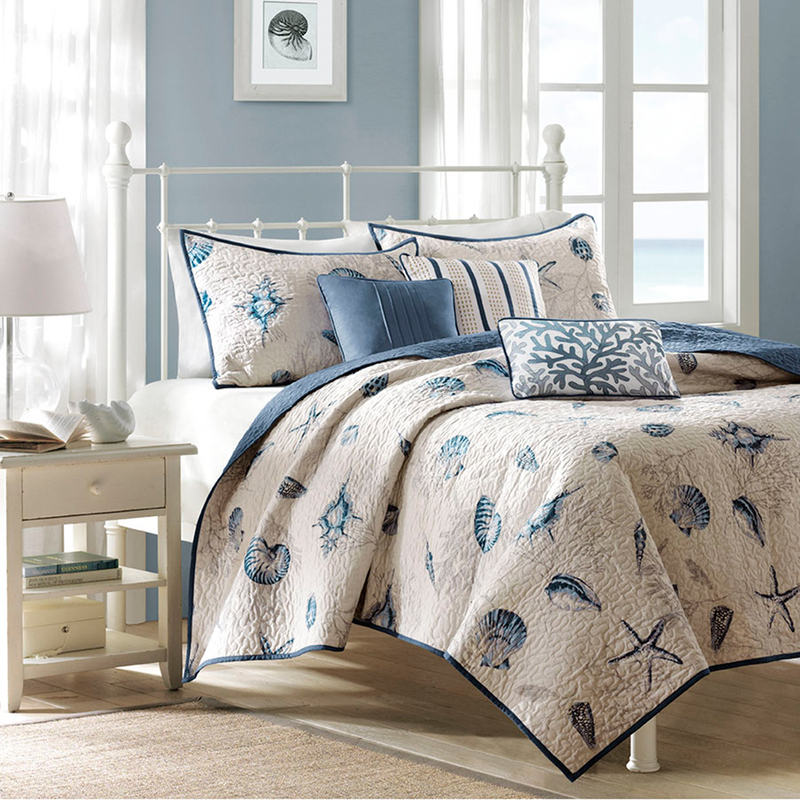 Transform a bedroom into a tropical haven with the Bayside Quilt collection. 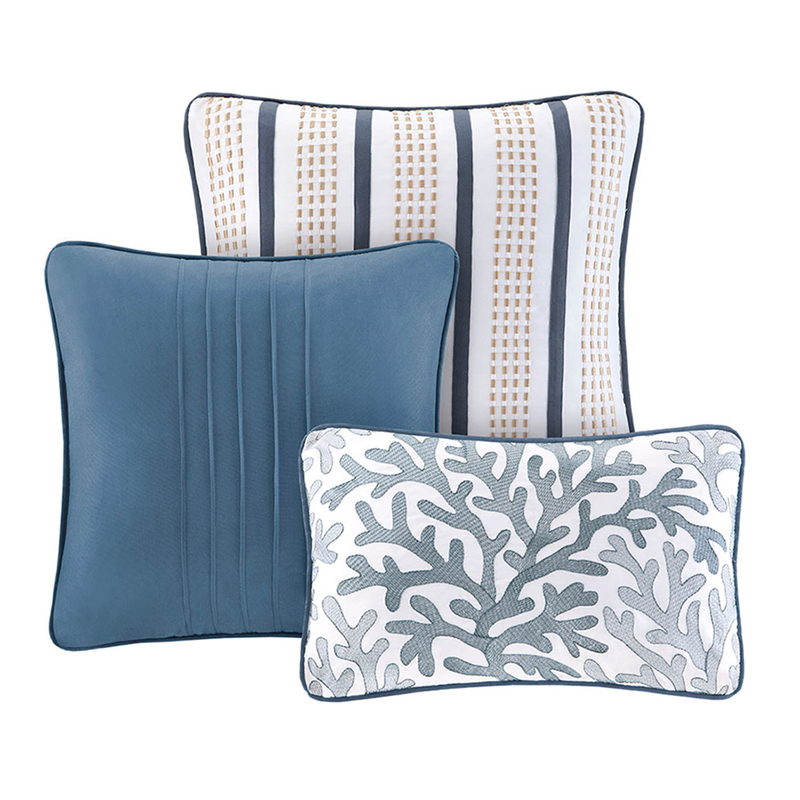 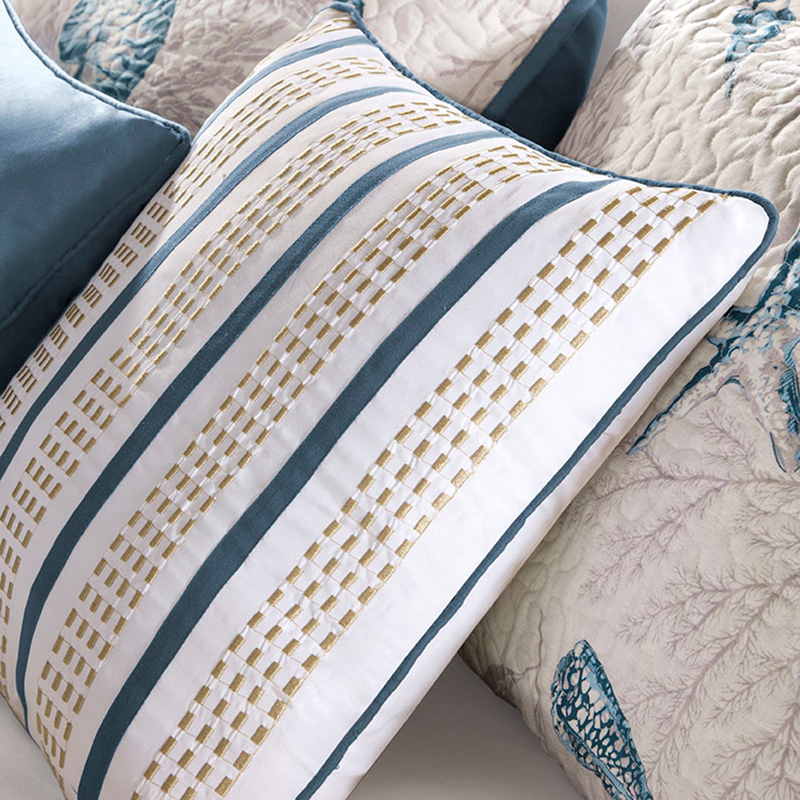 Made from a super-soft poly microfiber, the set features an assortment of seashells highlighted in light and dark blue on a sandy-ivory background. 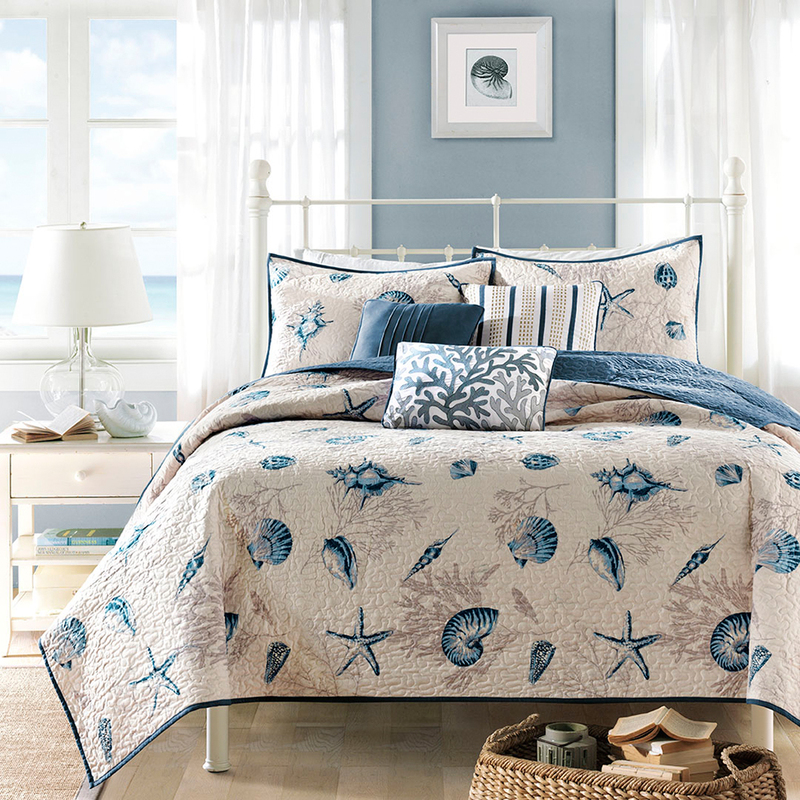 A coral motif in a taupe color is printed on the background to give another dimension. Reverses to a solid dark blue.